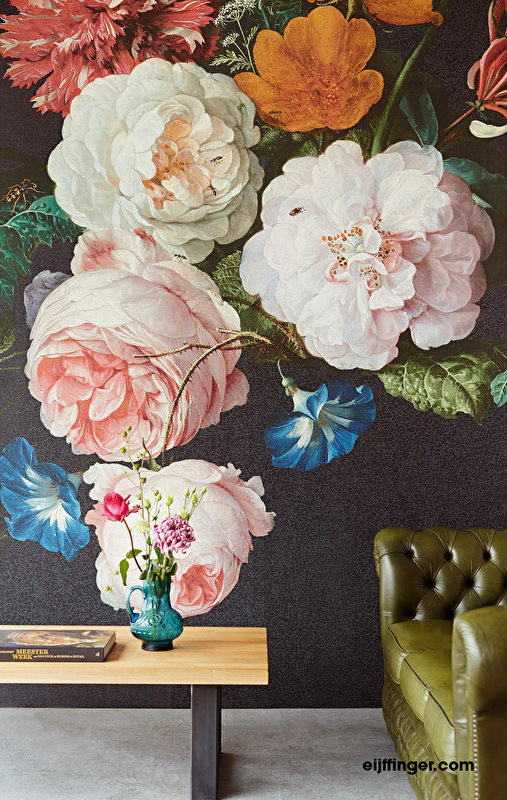 Wall coverings have been catching our attention of late. With so many designs available it’s diﬃcult to not be inspired! Decorative coverings add layers and depth to an interior and showcase individuality. Of course you do not need to limit yourself to repeat-pattern wallpapers. Wall Murals and Wall Panels are having their time in the limelight and you may just ﬁnd yourself falling for one! In terms of trends we see our interest in Nature continuing. Jungle fever has hit so tropical plants and wildlife are a key source of inspiration. Also water, stone, minerals, earth and space are all inﬂuencing pattern. With water and plants in particular inspiring colour. You will note Pantone 2017 colour of the year is greenery! The Modern Tribal trend is still strong although more of these primitive designs are Japanese inspired. Chinoiserie Chic is also making its come back in darker more seductive hues. We note a 70’s movement with colours less muddy than the original and feeling a little playful. 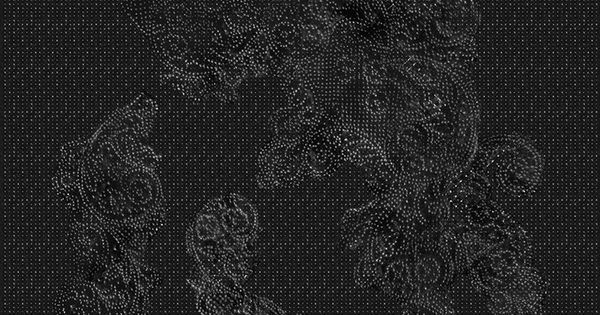 Embroidery, lace and jacquard patterns can also be found lending their patterns to wallpapers. A theme likely stemming from the 70s trend we are seeing in clothing fashion. From micro to macro, we are seeing animal print out of scale and in alternative colour. 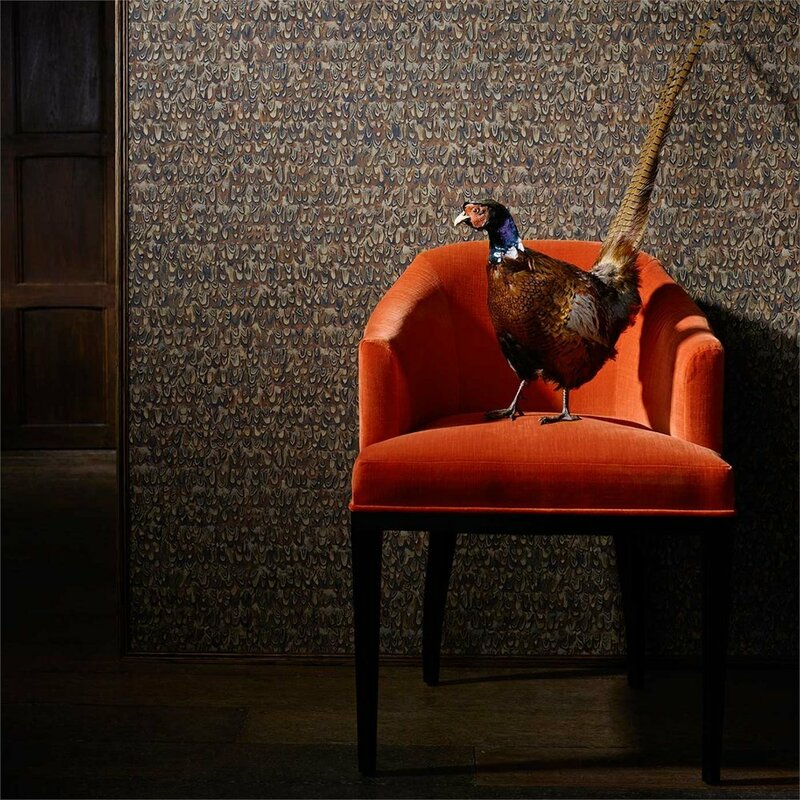 We like the ﬁne feathers of Zoﬀany, Icarus wallpaper. Big Croco wallcovering by Elitis is tactile in vinyl. Kelly Wearster does jungle with her Feline wallpaper. From blousy ﬂorals to tropical foliage to mystical forests to autumnal leaves. There are so many options when it comes to bringing the outdoors in. Our favourites are Effinger Masterpiece mural from Resene, Into the Woodlands Wall Mural by Murals Wallpaper, La Isla Bonita by Giovanni Pesce for Wall & Deco and Foglie De Vita wallpaper by Lizzo. Minerals o$er more texture and colour variation than stone, they also possess a mystical quality. We like the Obsidian Wall Panel by Anthology it could very well be an image of Earth from afar. 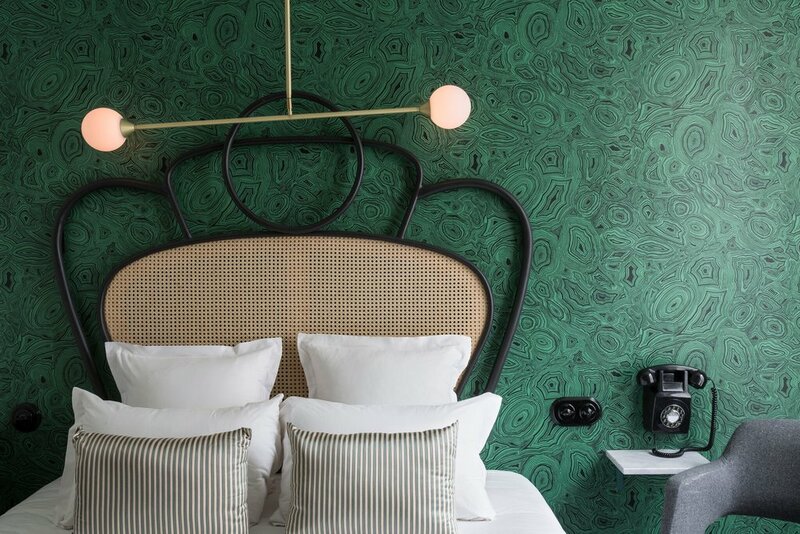 The very chic French-green Fornasetti Malachite Wallpaper from Cole & Son is a more light hearted take! We’ve looked at outer-space on previous blogs in the form of rugs and crockery. Metallics are a feature of this trend, particularly gold and silver. Cracked Earth wallpaper by Zoffany. Milky Way Wall Panel by Eva Germani. Casamance’s, Tenebreuse wallpaper in Anthracite reminds us of space ships and tarnished steel! Simple designs in earthy hues work wonderfully with metallic accessories. From African tribal patterns to Japanese craftsman markings. We love nearly everything Kelly Wearstler, here is her Graffito wallpaper. 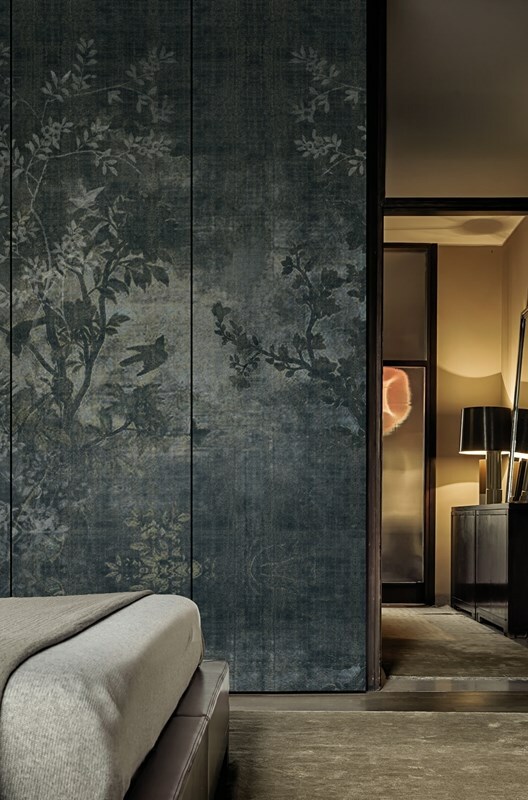 Also the very “wabi sabi" Les Baguettes de Masako wallpaper by Elitis! These papers are toned-down, matured versions of the decades design aesthetic. We love the Osbourne and Little, Parquet wallpaper and the Casamance, Jacarau wallpaper.! A progression of the luxe damask designs we have seen in the past, this fabric-as-wallpaper trend feels more down to earth and understated. We are particularly fond of the seductive little black number, Spolvero by Francesca Zoboli at Wall & Deco. The Casamance, Jerico, Soledade Wallpaper in Blue Reviere has the look of Jacquard and pairs nicely with a contemporary interior. Chinoiserie goes moody with a darker colour palette, toning down any fussiness.! 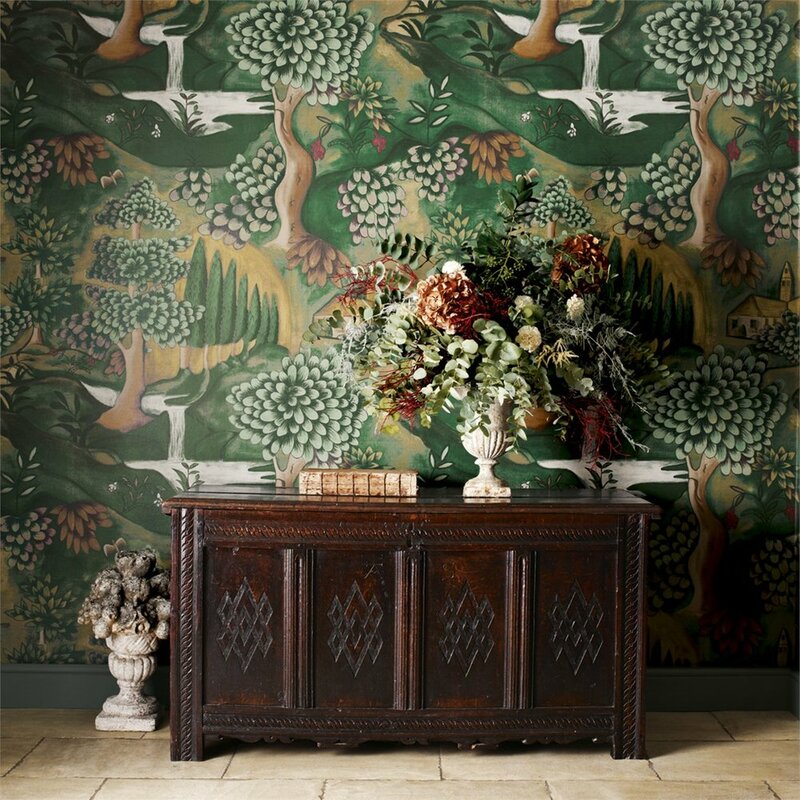 A very authentic Verdure by Melissa White for Zoffany. Simplicity in the Oasis wall Panel and a more detailed Midsummer Night wallpaper both by Lorenzo De Grandis for Wall & Deco! Newer PostCOUCH, SOFA OR SETTEE?